Stilettos get a bad rap for causing everything from metatarsalgia and twisted ankles, to back pain and stretched Achilles tendons. While it’s true that many wearers use and abuse stilettos, rather than wearing them sparingly, there are many other shoe types causing damage to your feet that you would never suspect. At The Center for Podiatric Care and Sports Medicine in New York City, we can address biomechanical imbalances, foot pain, and deformities caused by improper footwear, and help you find the right shoes for your unique feet. Stiletto heels aren’t the only shoe types that can wreak havoc on your feet, warn NY podiatrists. Platforms lack any kind of cushioning, say podiatrists. Platform shoes seem like a good compromise for women who want high dress shoes, without shifting all their weight forward onto the balls of their feet. While it’s true that platforms provide a wider, flatter, more stable base to stand upon, experts say the biomechanics of walking are still upset by this style of sandal. As WebMD states, the rigid footbed still places a lot of pressure on the metatarsal bones and hurt the balls of the feet. “Your foot is trying to bend a certain way, but the shoe is fighting you,” explains Hilary Brenner DPM. Flats may be the antithesis of heels, but their lack of stability still causes foot issues. Many women carry flat ballet shoes in their purses as an alternative to strutting around in heels all day. However, we see a lot of people who wear these shoes come into our office with fallen arches and plantar fasciitis. “Most ballet flats provide no arch support and have very little padding in the insole, which means they are essentially like wearing a very thick sock,” San Francisco foot and ankle surgeon, Lucille B. Andersen, MD told Everyday Health. Many flats-lovers also can’t understand why they have stinky feet or foot fungus. Flats are often worn without socks and are made of synthetic material that doesn’t breathe well, thereby trapping sweat, bacteria, and fungus inside. 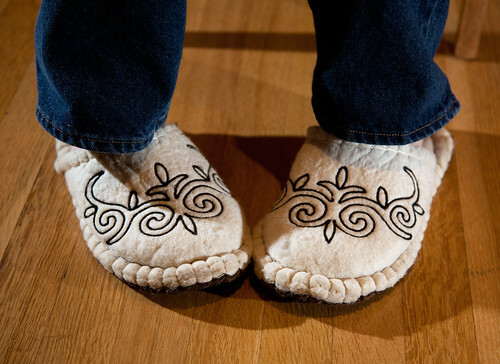 Slippers may look comfy, but they’ve been known to cause aches and pains in the feet. Surprisingly, slippers are another type of shoe that causes people a lot of trouble. There are many different varieties of slipper, from big and fluffy to thin and backless. We find that a lot of orthotic wearers would never dream of leaving the house without their shoe inserts, but they traipse around the house in slippers without their custom-made insoles. The fact is, insoles are made to be removable for a reason; they need to go where you go, including inside slippers. This type of footwear often lacks all arch support and fits imperfectly, which increases your chances of taking a tumble. Also, when was the last time you washed your slippers? How often do you purchase new slippers? The failure to upkeep slippers makes them a hazard to foot health, as well. 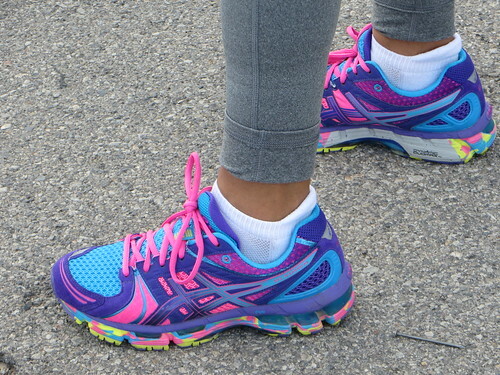 Even sneakers can cause your feet grief if you do not select the right pair and maintain them! You may be surprised to see athletic trainers on the list, but far too often people buy shoes for looks, rather than function. As we mentioned last week, cross-trainers are good if you aren’t committed to one sport in particular. However, if you run, play basketball, engage in tennis matches, or walk three or more times a week, you’ll need dedicated shoes tailored to that sport. Running shoes facilitate a heel-to-toe stride, whereas walking shoes come with better heel support. People who wear running shoes for other purposes often end up with chronic stress injuries, especially plantar fasciitis. Furthermore, sneakers go through a lot of wear-and-tear. You should replace them every 300 to 600 miles, or every six months. Wearers of sneakers come in with bunions, corns, and blisters from shoes that do not fit properly. Need Help Choosing Between Shoe Types? – Offer tailored shopping suggestions for shoe fit and shoe type. We are committed to making sure that your feet are in good healthy and that you are on the right track for maintaining maximum mobility. Book your appointment online!